The idea intrigued Carrigan, but she didn’t really know what she wanted to do as a business of her own. Then one day she heard about a tanning salon for sale and felt right away that might be what she was waiting for. “So we looked into buying it and here we are! Jamie and I are co-owners,” she explains. Formerly Ultra Tan in the Belle Mar Mall, her first order of business was to change the name and start mending the former’s reputation. 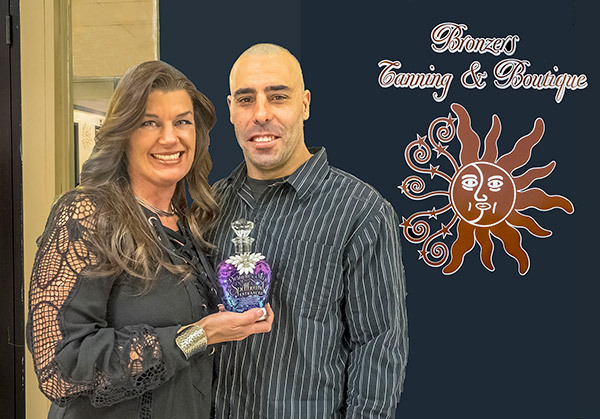 Now called Bronzers Tanning and Boutique, it offers UV tanning in four different levels of beds as well as sunless spray tanning. By adding on the boutique, she hopes to attract even more customers. The biggest challenge, she admits, is trying to get Bronzer’s name out there and reaching people from all ranges of ages and lifestyles. Opening in June, it was a slow start. But with the cold, winter months now upon us, Carrigan hopes business will pick up as the Mankato area becomes more aware of what they have to offer. Streett adds, Carrigan’s personality is another reason folks should stop in to Bronzers. Congratulations on your new adventure Jamie! Not sure if you remember me or not but I am Todd’s sister.